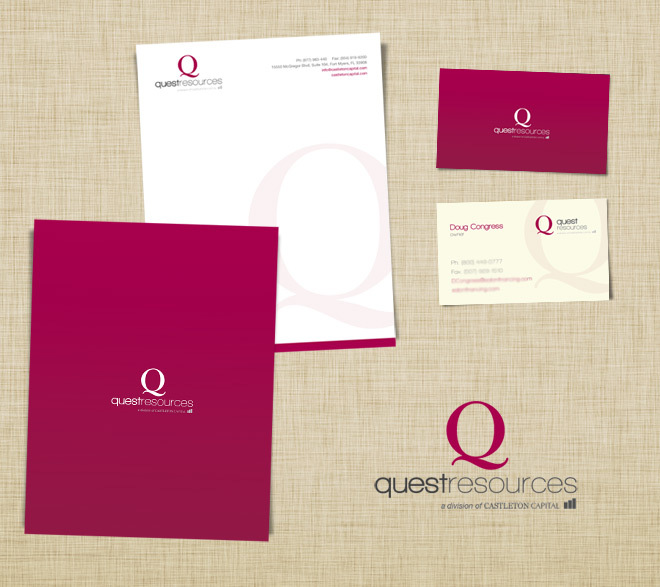 We recently completed a logo / identity re-design for Quest Resources Inc., a Fort Myers based financing firm dedicated to the salon and tanning industries. After discussing the challenges their current identity faces, we developed the re-design brief with our new client and together, we decided that the identity needs to be more modern, friendly, and less corporate. A large majority of their target market is made up of females, so it was vital that the new logo represented a more feminine personality. Brian Joseph Studios achieved the goals set out in the brief by developing a professional, modern, and clean identity. Along with the stationary we designed, the overall identity project was a success and our clients are delighted with the result.